F. J. Nugent & Associates Inc. is a full service Manufacturer’s Representative organization serving the water and wastewater industry. Started in 1996, by Fred Nugent, our firm was founded on the belief that superior customer service and high quality products produce satisfied customers. We offer our clients and principals a wide range of product knowledge and industry contacts. Our combined product knowledge ranges from pumps and valves to hazardous waste and wastewater process equipment. 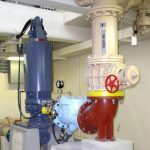 F.J. Nugent & Associates Inc. represents a variety of pumps, including submersible sewage and positive displacement pumps, lime slaking equipment, odor control equipment and also remote monitoring and level control equipment. 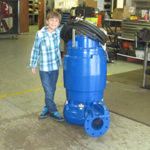 We offer a wide variety of equipment for use in water and wastewater industries. On-site and in-house repairs are performed by our factory trained technicians. Three convenient locations through out central Florida. For your mechanical and electrical installation and repair needs. Factory-trained mechanics with pick-up and delivery service.